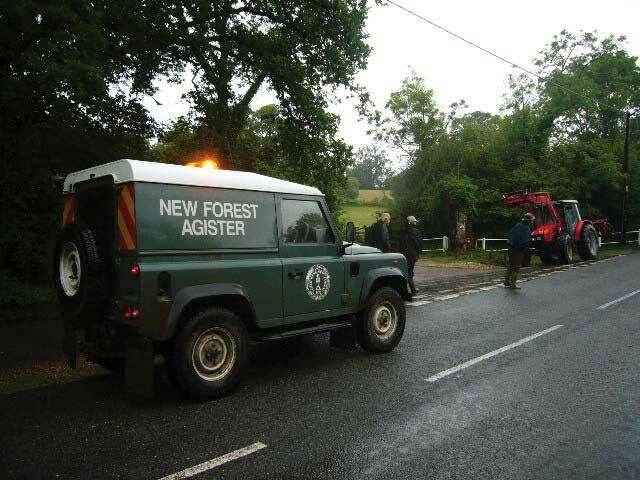 Agisters are the officials who look after the ponies, cows, pigs, sheep and donkeys that live on the Forest. The name comes from the word ‘agist’ which means to charge for letting animals graze your land. Agisters spend much of their time on horseback. Today they use mobile phones, but fifty years ago they had to send post-cards to keep in touch! Each Agister has a ‘beat’ in the Forest. You should get to know your local Agister, and call him if you see a sick or injured animal on the Forest. The Agisters work for the Verderers (see V), and their phone numbers are available at the Verderers website.